This week on a slightly delayed episode of the FMD Podcast, the boys deep dive The Thing: Infection at Outpost 31. Meanwhile, Robert figures out that he is a Dracula super-fan, and Jonathan continues to obliterate his Shelf of Opportunity. Plus table top news, lots of awesome bad movies you should watch, and so much more! Patreon Contest! Join our Patreon before the NEXT EPISODE! 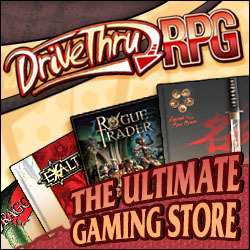 You are entered to win a $20 DTRPG contest. Delta Green Impossible Landscapes Copy! Magic the Gathering returning to Ravnica!